I want you to know I just took a forty-five-minute shower. My hair is wet, my feet are be-socked, and the lotion I put on smells like black cedar or some such. A scent named after the color of the shirt you're wearing and your favorite tree, anyway. White sequoia. Orange maple. Buffalo plaid gingko. Anyway, I bring this up because I spent three-quarters of an hour trying to think of a way to start this letter, and the best thing I came up with was, "I'm good." As you know, I struggle with depression and anxiety. The past few years have been challenging, and there were days I refused to get out of bed. Brush my hair. Be a human. Things have changed, though. In March, I started working at Axis Architecture + Interiors, an architecture and design firm in downtown Indianapolis. My title? Marketing coordinator. My duties? Writing proposals, managing the website, and instructing co-workers on why they don't need to put two spaces after a period. * It's been a delight, and I could not have asked for a better "work family." My co-workers are patient, creative, innovative, and empathetic, and I would readily defend all of them. 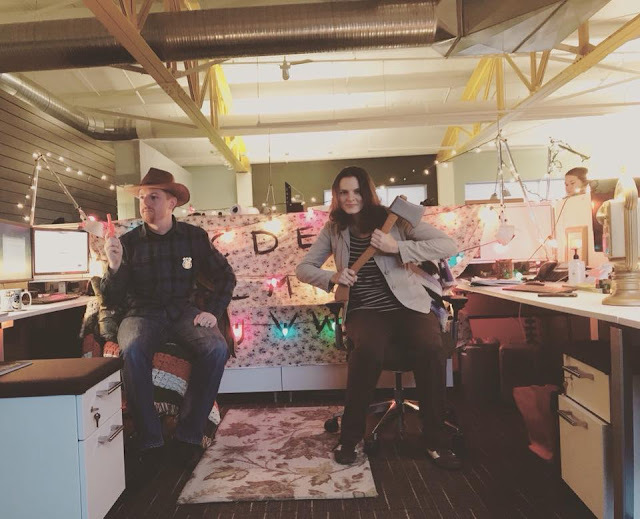 Strange things happened at the office. In addition to my full-time gig, I also freelance. (You can find my byline on 100 Resilient Cities, Indianapolis Monthly, Kit, Midwest Living, and Visit Indy, among others.) I also write for a jet boat company in Madison, Indiana. 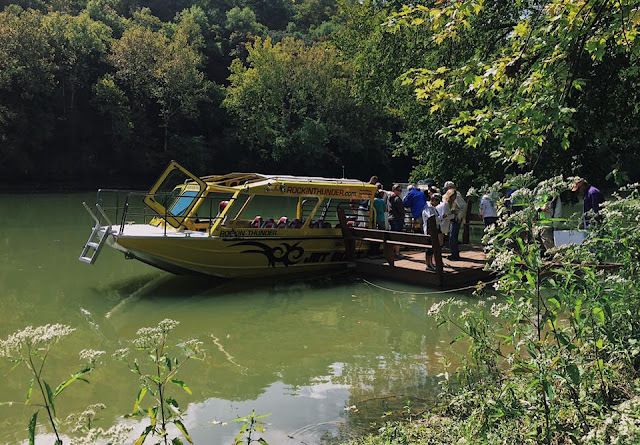 In September, they invited me on a two-day tour of the Ohio and Kentucky rivers. Definitely a highlight of 2017. Writing was not the only thing that pulled me out of my "funk." Through it all, Ty has been my closest companion and confidante. We crossed the four-year mark in August, and for our anniversary, he gave me a "we go together like cats and more cats" card. (The man gets me.) This past year, we participated in Chicago's annual Bike the Drive event, traveled to Washington, D.C., and re-watched the first 11 seasons of The Simpsons. I have no idea what we'll do in 2018, but I will say this: Ty always makes me laugh, and is ever-selfless and loyal. He's known as "Uncle Ty" to my nephew, Max, who turned two earlier this year. The little tyke has a penchant for guitars and crayons, and I'm curious to see how his creativity expands as he ages. It took us four years and four drinks, but we finally got a good selfie. Anyway, I'm just as unsure on how to finish this letter as I was on how to start it. What I'm trying to say is this: I'm happy. 2017 was the year I went without a car, ran multiple half-marathons, and started using Benefiber. I also learned a few things: 1. I will cut myself if I aggressively Windex the bathroom mirror. 2. I can't pull off eucalyptus-scented lotion. (Best stick with buffalo plaid gingko.) 3. Gratitude goes a long way. I could not be where I am today – emotionally, physically, grammatically – without you. Thank you for believing in me, continuing to care for me, and loving me for who I am, and who I could be. You are one of the many reasons my heart is full, and I wish you and your loved ones the most wonderful, happiest of times. ** This is the hill I want to die on.